Acortec, a leading specialist in corrosion protection for oil and gas and other industries, plans to expand in the GCC, growing on the firm foundation the company has built in Saudi Arabia and the UAE. 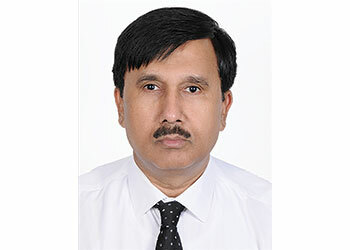 "Our Bahrain office will become a full-fledged one in the coming two months; besides we are looking at setting up shop in Kuwait and Oman soon," says Shakil A Siddiqui, Managing Director of Acortec, in an interview with OGN. In Bahrain, the company is in the process of acquiring land to set up a facility for anti-corrosion treatment including sandblasting and painting. Established in 2014, Acortec already has an 18,500 sq m yard in Jubail and a 5,000 sq m facility with a concrete floor in Abu Dhabi, UAE. It also has an equipment maintenance shop in Jubail. The company, which has had good business even during the slump caused by falling oil prices, sees better prospects ahead. Siddiqui attributes Acortec’s success to the "good quality of work that we provide and the timely completion of our projects." After the oil prices recovered, project activity has picked up in the region, Siddiqui says adding that this would help boost the company’s order book. Acortec has participated in many big-ticket projects in the region working as a subcontractor for EPC contractors including Hyundai Heavy Industries, SepcoIII, Samsung, General Electric, and Doosan. The main client list includes Saudi Aramco, Adnoc, Sabic, Royal Commision for Jubail and Yanbu, SEC, RPC, Yasref and SWCC. Among the projects completed are Maaden Aluminum in Ras Al Khair, Sadara in Jubail, SWCC in Yanbu 3 and an IPP plant in Rabigh, says Siddiqui. Referring to the importance of corrosion protection, he says the steel and concrete used in the oil and gas industry need corrosion protection. "Investors can spend billions building a plant, but if proper surface protection is not done it won’t last long. It will soon be reduced to junk of steel," he points out. "The corrosion industry is like an ocean, the more you dive into it the more knowledge you gather," he says adding that he has over three decades experience in the industry and even today there is something new to learn. Acortec has some 200 people working in Saudi Arabia and about 50 in the UAE, all well trained and equipped. 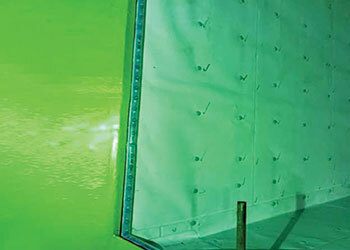 On the technology employed, Siddiqui says Acortec offers every kind of corrosion protection including the alkyd enamel system, epoxy system, organic and inorganic zinc systems and polyurethane coating for the exterior and flake lining/fiberglass lining, FRP and GRP, intumescent and intumescent epoxy and lightweight cementitious fireproofing as well as fluoropolymer lining (PFA, PTFE) for new constructions and maintenance of all types of plants. The company sources its technology from reputed associates in Germany including Markus Hofmann Consultants (MHC). The latest technology in vogue is the Teflon lining, which it sources from Kunststoffe Lauing. Talking about client confidence in Acortec, he says recently the company began a project in Yanbu 3 on mutual trust even without signing a deal. "This shows the confidence the client has in us and also our confidence in the client," he adds. The company understands its customer’s processes and offers an optimised material solution and application expertise.